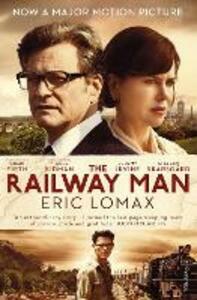 During the Second World War Eric Lomax was forced to work on the notorious Burma-Siam Railway and was tortured by the Japanese for making a crude radio. Left emotionally scarred and unable to form normal relationships, Lomax suffered for years until, with the help of his wife, Patti Lomax, and of the Medical Foundation for the Care of Victims of Torture, he came terms with what happened. Fifty years after the terrible events, he was able to meet one of his tormentors.